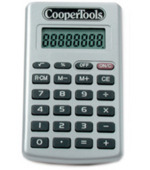 Why not give away our Calculator Freebies to your friends and customers as a promotional gift and let you advert out into the wide wide world and spread the word of your business details and logo. Just decide how many you need and we'll take care of the rest. To find out more about our Calculator Freebies click here and fill in the contact form and we'll get straight back to you. Other promotional and personalised items besides our Calculator Freebies click here.